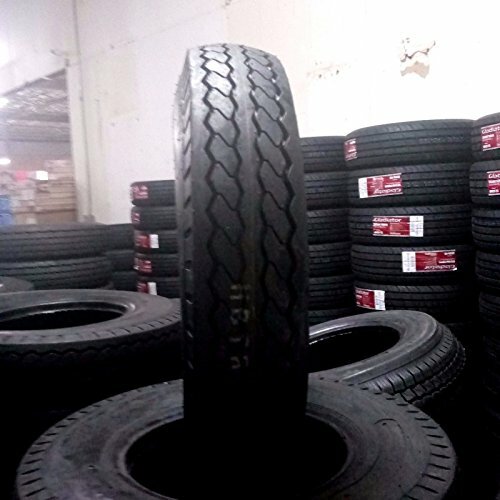 You can fully understand what makes quality truck tires, questionable tires, and average tires, if you know what the tires’ ply ratings are. Ply rating identifies a tire’s load and inflation limits, not its comparative weakness or strength. Tires that can accept higher inflation pressures (such as 10 ply tires) can take heavier loads. Before we get down to the details of a tire’s ply rating or load range, it is crucial that you understand it is not only the air that carries the weight of your truck, but also the tires. This 10 ply truck tires review is designed to provide you with the basics of 10 ply truck tires. We have also simplified the search on your behalf, in case you are in the market for the best 10 ply truck tires. 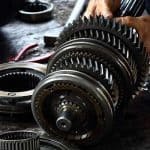 What to Consider When Shopping for 10 Ply Truck Tires? What Load Range is a 10 Ply Tire? What PSI to Run a Light Truck with 10 Ply Tires? 10 ply rating refers to a truck or trailer tire’s capacity and strength. It directly explains a tire’s capabilities as well as limitations. Therefore, if you are planning to tow, haul, or carry heavy stuff with your truck, understanding 10 ply rating of your truck or trailer tires is important. 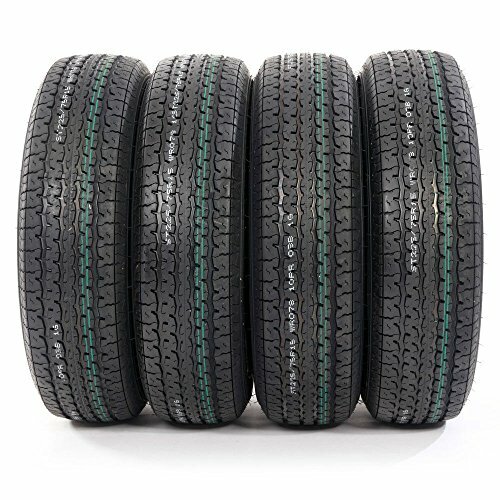 Nowadays, ply rating of tires is popularly referred to as “load range.” Unlike before, ply rating doesn’t have a direct connection to the number of layers or construction of a tire. This is so because manufacturers are very much capable of creating higher tire capacity and strength with the exception of additional layers. Do you know how to differentiate p-metric tires from LT tires? You need to know the difference in order to be able to identify 10 ply truck tires correctly. The “P” is usually indicated in front of the size of the tire. The “P” refers to the passenger vehicle, which includes CUVS, minivans, coupes, or sedans. P-metric sized tires provide lighter weight, lower rolling resistance, and less aggressive tread designs. These make them better riding, more fuel efficient, and less noisy. However, if you start using a truck fitted with p-metric 10 ply tires as a real truck, the passenger tire could be a problem, presenting safety concerns. LT tires are built with thicker bead sections and deeper treads to meet more severe certification standards. Even when they carry the same load rating on the sidewall, LT tires offer about 10% greater safe load capacity. Problems with these tires begin when you start replacing the tires that came with your new truck. You cannot mix LT and P-metric tires. The differences in load capacity and required 10 ply truck tire pressure prohibits mixing the two types of tires, even if they have equal dimensions. It’s all about load capacity, not the size. You must know the ply rating or load range of your truck’s OE tires in order to make a safe choice. Also, you must decide whether or not you need to exceed the load range of your OE tires. If you cannot find the ply rating details of your OE tires on them. Then, you are most likely dealing with standard passenger tires. Check the towing capacity on your truck owner’s manual. Also, check for the maximum vehicle weight and target 10 ply truck tire pressure. We are interested in the Load and Speed info. Check the sidewall of the tire for letter “E.” Here is an example of what you will see on the sidewall: 35 x 12.50 R 17 / E (E indicates the tire is a 10 ply). 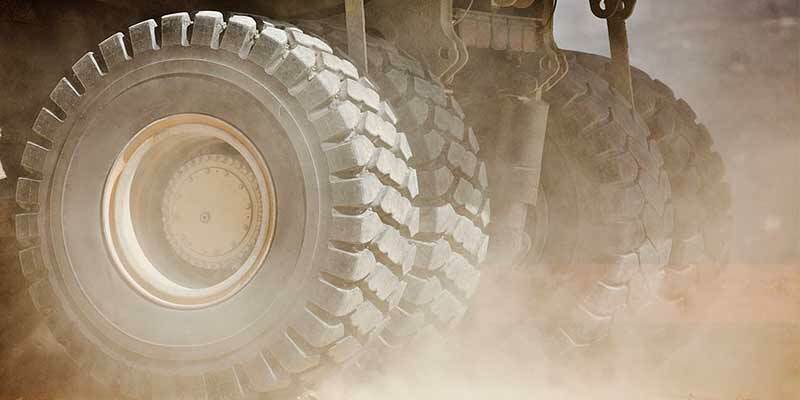 This tire is built and engineered to meet the needs of modern-day trailers. It comes with an updated tread design, which is manufactured from segmented molds to deliver unmatched uniformity. Its nylon overlap construction does not only maintain the strength but also durability, especially in higher load usage. It has enhanced tread depth for reduced rolling and preventing the buildup of heat. The tire comes with a superior shoulder design that offers improved heat dissipation, ensuring a longer tread life. The shoulder tread pattern also maintains continuous contact with the road, improving driving stability. The Trailer King ST has center grooves for stability as well as constant tracking. The tread design is also very effective at preventing uneven wear patterns from developing by spreading braking, cornering, and accelerating forces equally. These tires come with remarkable build quality. They are capable of lasting about 50,000 to 70,000 miles without alarming issues. They can even go a few extra miles with worn off tread, especially if you are not using your trailer a lot. One of the major problems that you are likely to experience with these tires is a separation of the belt. This might happen if you received a defective product. It features an all-season tread compound that is engineered into a symmetrical tread design, which features notched shoulders. 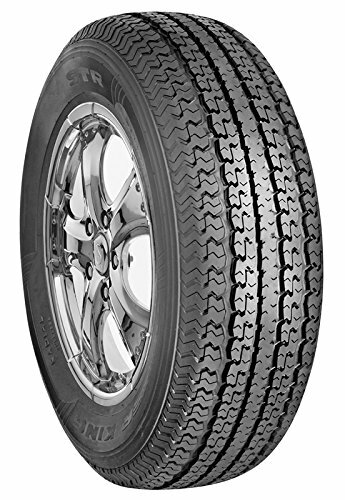 The tire has a constant center rib that promotes straight line tracking, bad weather traction, and better handling. Lateral grooves offer the ideal biting edges required for snow traction, and wide circumference grooves allow for hydroplaning resistance. The inside is reinforced to maintain shape as well as improve performance. You do not have to hit a few thousand miles to appreciate the resilience of this model. You should only observe minor hitches. However, you might encounter blowouts after a few hundred miles if you receive a faulty tire. It has a symmetric, five-rib tread design that increases gripping in winter, wet, and dry weather. It has wide circumference grooves that prevent hydroplaning by getting rid of slush and water from beneath the tire footprint. The five-tread structure provides superb road contact. This promotes driving stability and steering responsiveness. Basically, the steering gets precise and quicker in response to instructions. The steel belts in the tire’s internal structure enhance controlability. The steel belts also help to maintain optimal shape as well as avert deformation while driving. You also get superior tread life, thanks to the unique symmetric tread design. The 10 ply truck tire pressure during driving is distributed evenly along the tread region. This guarantees even wear out of the tire during its lifetime. This wheel may not be suitable for you, if your trailer doesn’t have sufficient clearance. You may also experience blowouts if you exceed your load. ST 10 PR 15 inch in 15" 10 ply rating 15 "
Sold as a set of 4, the Million Parts Radial Trailer Tires are the perfect choice for a full replacement. They have a maximum load capacity of 2,830 pounds. 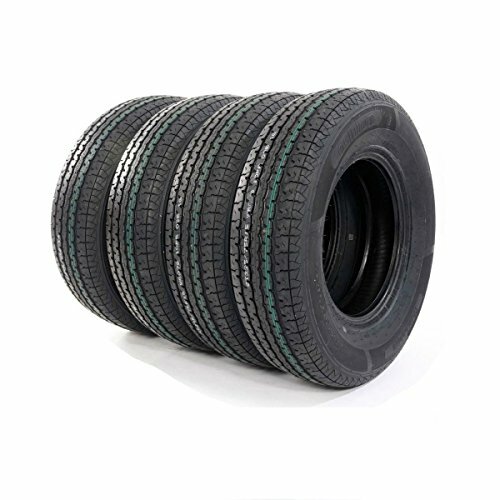 The tires are engineered from top of the line rubber material, which is not only solid but also very durable. The rubber will hit thousands of miles before they give in. These wheels are suitable for all-weather traction. They are outfitted with special traction grooves that improve winter, wet, and dry weather gripping capability. The wheels’ compound maintains and improves flexibility. These wheels have a unique siping detail and groove pattern that work together to provide a firm contact on the road. The circumferential grooves help to avoid hydroplaning, which guarantees safe driving. The distinctive tread pattern is also effective at reducing noise levels when in motion. Usually, airwaves are channeled via the footprint, preventing them from making contact with tread elements. If you are in search for the best 10 ply truck tires, look no further than the Brand New wheels by Road Guider. They are perfectly engineered for utility and boat trailers. These are new tires, which have never been installed on any vehicle. They have a weight rating of 2040 at 75 psi. These wheels have a new compound that ensures balanced content to improve wear resistance. The compound is shaped into a subtle tread pattern that enhances rigidity in order to prevent deformation. The zigzag tread pattern does a superb job of expelling light snow, mud, and water. This helps to improve traction, handling along with drivability. You will be impressed by the performance of these wheels. If you are to encounter any tread wear, it will be minimal and after a few thousand miles. Here is another set of the best 10 ply truck tires by Million Parts. They are engineered to be used with trailers, and even most motor homes. These special trailer wheels have a radial internal construction. The radial design prevents heat buildup in order to ensure a softer ride. 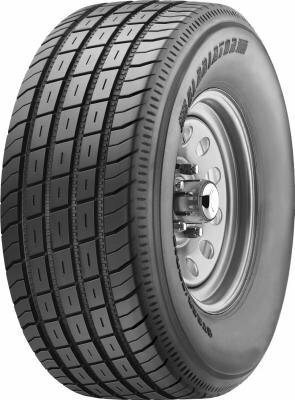 These tires are designed with the plies arranged radially, producing a flexible sidewall, less vibrations, improved fuel economy, and prolonged tire life. 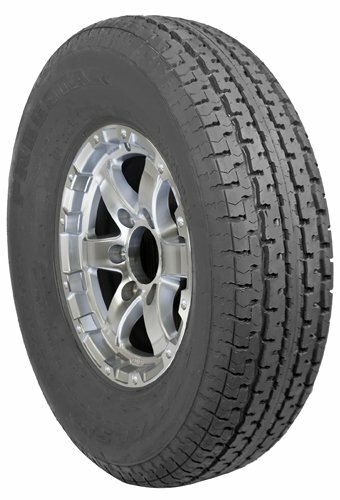 The durable construction and straight tracking tread pattern make these wheels suitable for trailers and trucks. These tires are amazing. They are very much capable of surpassing the mileage of your OE tires. However, you should avoid under inflation or overloading when using these wheels. Coming last in our 10 ply truck tires review is the Triangle TR643, which is the next generation for trailer applications. This wheel is designed to offer better heat buildup resistance. It is a heavy-duty trailer radial with a robust casing design that guarantees durable performance for a remarkable number of mileage. The Triangle TR643 has a dual belt construction that delivers superior strength for enhanced towing stability. These tires are built to handle the load. Symmetric tread pattern along with a robust center rib provide you with exceptional traction and highway stability. This ensures long tread wear. The rounded profile also improves the trailer ride. The circumferential grooves are expertly designed to improve wet traction by allowing water to flow via the tread design. The grooves also offer excellent hydroplaning resistance. The best 10 ply truck tires must meet some specific requirements for high performance and long-term use. You are likely to make a size selection mistake when switching from OE tires to the aftermarket options. If you are not sure about the ideal size, you should make the necessary inquiries from your vehicle manufacturer. The tire size guide involves a number of things, including service type, section width, sidewall aspect ratio, internal construction, speed rating, and tire and wheel diameter. Usually, tire sizes start with a letter, such as P, T, LT, or ST.
A size that starts with “ST” indicates a special trailer service size engineered for utility or boat trailers. This size is not recommended for light trucks, vans, or cars. A size that starts with “LT” indicates a light truck-metric size engineered for vehicles designed for towing large trailers or carry heavy cargo. A size that starts with “T” indicates a temporary spare, which is suitable for temporary use until you can replace or repair a flat tire. A size that starts with “P” indicates a p-metric size engineered for passenger vehicles, such as sport utility vehicles, minivans, and cars. As far as performance is concerned, asymmetric tread patterns promote a combination of wet and dry track performance, improving overall traction. Asymmetric designs also allow for even tire wear, prolonging the tire’s life in return. Radial ply tires feature steel belts. Trailer or trucks with radial ply tires do usually track more precisely, and provide low camber stiffness making it easier for tires to track in existing pavement ruts. Bias ply tires have plies that crisscross the tire diagonally from bead to bead. Bias ply designs feature nylon belts. As far as performance goes, bias ply tires are not suitable for regular trailer use or long trips. For example, you would require 10 ply tires with superior snow traction, wet traction, wear resistance, and better ride quality, if you will be doing a lot of off-road driving. How will you be driving? And what you will be driving? 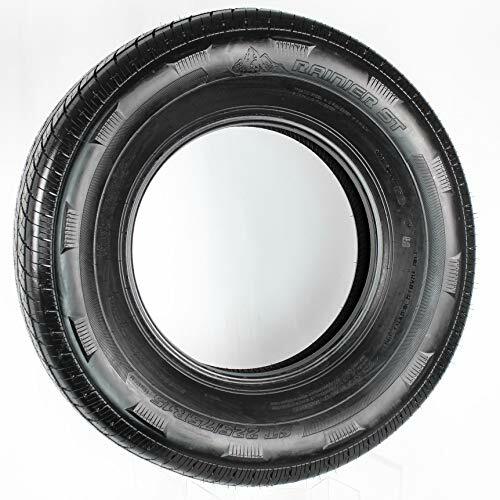 The maximum load pressure for a 10 ply tire is 80 psi or 550 kPa. Let this be your reference pressure. If you choose to maintain the maximum psi in your 10 ply tires, then be sure that your psi will be too high. You should consider using maximum psi when the truck is fully loaded. The advantage of maintaining maximum load pressure is less rolling resistance and fuel economy. However, the maximum psi has some disadvantages, which are normally associated with uneven tread wear, handling, and ride quality. You will most likely feel all the bumps on the road at maximum psi. The contact patch is usually concentrated at the midpoint of the tire. This definitely affects the responsiveness of your brakes and steering. Usually, the 10 ply tire manufacturer defines the ideal psi for different load sizes. Get the chart from the tire manufacturer. Alternatively, you can use the generic chart provided by the Tire and Rim Association. You can find all the 10 ply truck tire pressure information on the placard of your vehicle. Vehicle manufacturers have standardized format as well as placement of placards in your vehicle. Use chalk to mark your tires and observe the extent of the tread that comes in contact with the surface. You should do this on asphalt or concrete. Examine the chalk; if it is worn off only at the middle of the tire, then reduce the pressure gradually. Do this until the chalk marks, broadly wear off. For instance, the drivers of 2015 F150 who use 10 ply tires have different suggestions. Some suggest 45 psi for rear tires and 50 psi for front tires, while others recommend 42 psi rear and 45 psi front. Check the tire pressure and make sure that the tires are properly inflated before you head out. Always follow your vehicle and tire manufacturers’ recommendations.